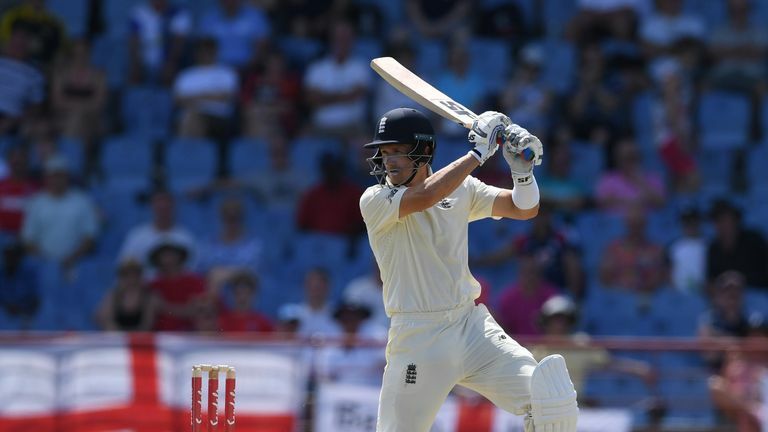 Joe Denly pressed his claims for Ashes selection with a maiden Test fifty on day three of the third Test against Windies in St Lucia. England’s No 3 reached the landmark from 73 balls with a sumptuous straight drive for four off Kemar Roach – only to snick Shannon Gabriel behind on the cut from the 99th ball he faced. 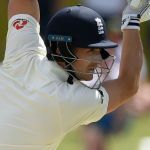 Gabriel should have had Denly dismissed for 12 but Shimron Hetmyer shelled a routine chance at slip and the batsman went on to share half-century stands with Keaton Jennings (23) and Joe Root (45no). England reached 207-3 by tea to extend their lead to 330, with skipper Root and his deputy Jos Buttler (37no) having put on an unbroken partnership of 60 – Buttler successfully overturning a caught-behind dismissal off Roston Chase on 35. Rory Burns (10) was caught off Keemo Paul at square leg from the first ball of the day, while Jennings was bowled off his thigh pad by Alzarri Joseph to fall in unfortunate fashion. Windies have also suffered an injury blow with Paul stretchered off after pulling up chasing a Denly cover drive, the hosts later confirming the 20-year-old had suffered a right quadricep issue. Watch continued coverage of the third Test live on Sky Sports Cricket (channel 404) NOW! You can also follow over-by-over commentary and in-play clips on our rolling blog on skysports.com and the Sky Sports app.